Aaron Jenkins found guilty of murder. 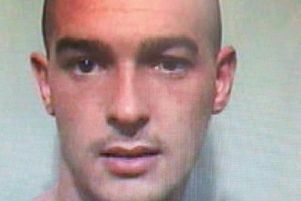 The man accused of bludgeoning a binman to death with a sledgehammer has been found guilty of murder. Aaron Jenkins (20), of Devonshire Road, Burnley, said he had killed 49-year-old Stephen Whitehead in the canteen at Pendle Skips last July as payback for calling him lazy - but denied it was murder. Jenkins, a casual worker, had been sacked following a fight with the victim. He had admitted manslaughter on the grounds of diminished responsibility.